SOLD!!! 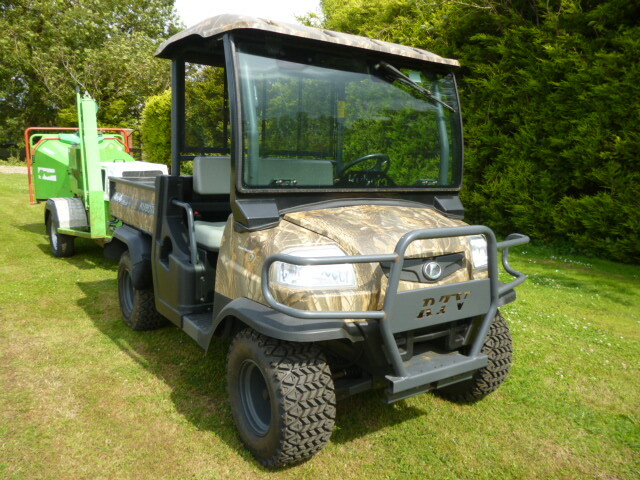 KUBOTA RTV 900 UTILITY ATV DIESEL SOLD! Brief Description: YEAR 2012. HOURS 1944. 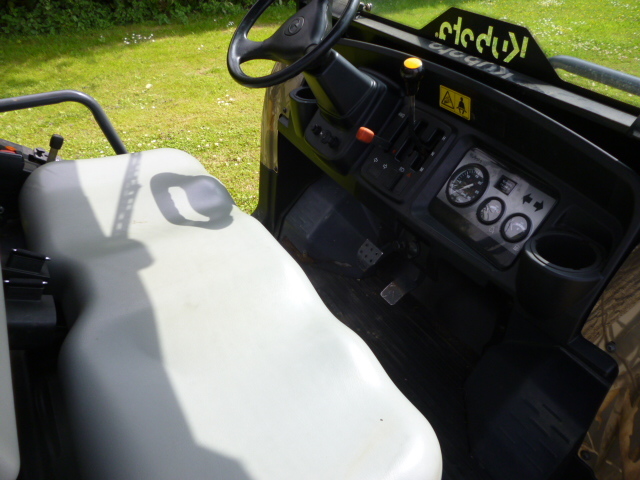 RTV 900 BUGGY. 4X4. ALL NEW TYRES. 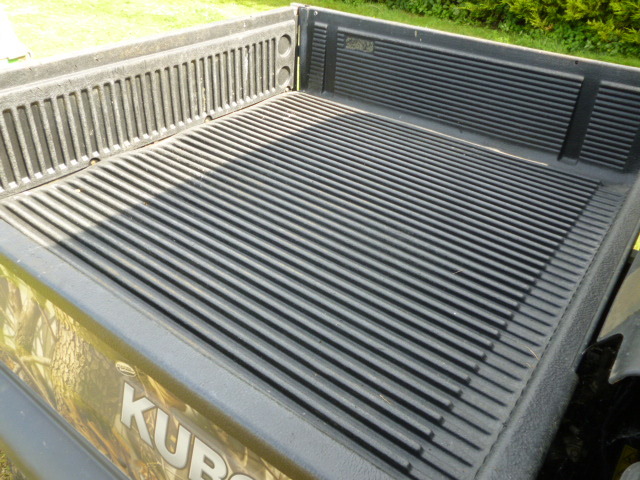 FRONT SCREEN ROOF HYDRO TIPPER. TOW BAR. CAMO. 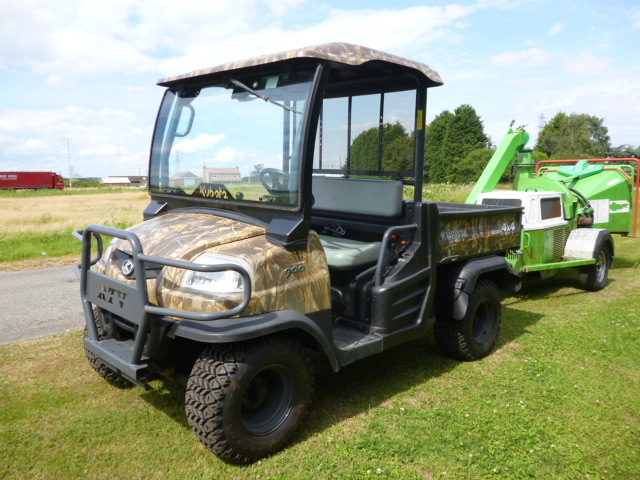 More Information: Kubota claims that its RTV 900s have been the best-selling diesel utility vehicles in Europe since 2006. It is easy to see why. 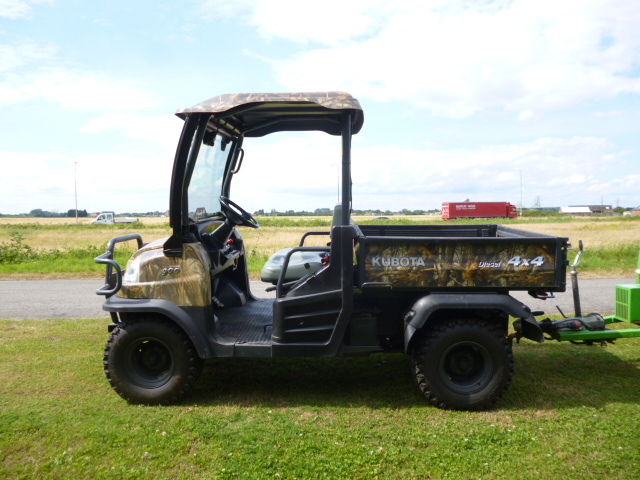 RTVs (rough terrain vehicles) have quickly gained recognition as roughty-toughty utilities that provide a smooth ride and plenty of muscle for work. Once you got used to the hydrostatic transmission, as opposed to mechanical gearboxes in many vehicles, the RTV 900 could be taken almost anywhere and would show its muscle when it came to hauling and carrying loads. 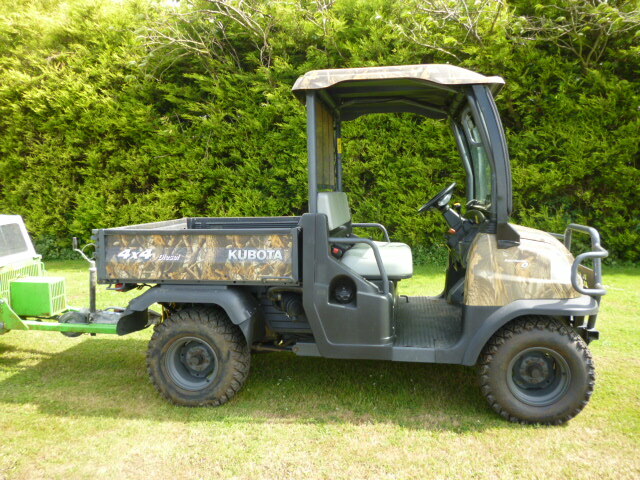 Kubota has now upgraded and improved the 900. In its latest format, the X900, this RTV has more legroom, better drivability, greater strength and more comfort. It now has independent suspension all round and it is all adjustable in five settings to suit the load carried.